1 December 2018, Bonn, Germany – Innovation and investments worth trillions of dollars in landscape restoration, climate adaptation and science-based policy advice will be needed if the global community is to meet the escalating threats posed by climate change. To meet these demands, the Center for International Forestry Research (CIFOR) and International Centre for Research in Agroforestry (ICRAF), also known as World Agroforestry, the two leading organizations focused on forestry and agroforestry research, policy and development have agreed to merge to strengthen capacity, provide the evidence needed to scale up investment in sustainable development, and accelerate impact. The merger becomes effective on 1 January 2019 through a common Board with subsequent implementation of a single leadership team and unified policies, processes and systems. “This progressive decision to merge will allow us to respond more effectively to the increasing demands to integrate landscapes and land management for a more equitable, climate resilient and productive world,“ said Claire O’Connor, Chair of the ICRAF Board of Trustees. In agreeing to the merger, ICRAF and CIFOR confirmed that all existing commitments and contracts will continue to be honoured to ensure delivery of the public goods the organizations’ donors and stakeholders, including host countries, expect. Combined, the two organizations employ over 700 staff in more than 20 countries throughout the global south, with an annual budget of over $100 million. “Working as one will allow us to leverage our combined $1.8 billion legacy investment in research, policy and development to seize emerging opportunities with greater agility and further our contributions to the realization of ecosystem services needed to create the jobs and resilient green economy of the future,” said Jose Campos, Chair of the CIFOR Board of Trustees. CIFOR and ICRAF are guided by the broad development challenges pursued by CGIAR, a global research partnership for a food-secure future, which include poverty reduction, increasing food and nutritional security, and improved natural resource systems and environmental services. Each organization’s work also addresses many of the issues being tackled by the Sustainable Development Goals (SDGs) and Paris Climate Agreement, specifically those that aim to eradicate hunger, reduce poverty, provide affordable and clean energy, protect life on land, and to address climate change. Combined, the two organizations will be well-positioned to develop key innovations in finance and blended development, thereby accelerating the impact of their extensive science and development initiatives. 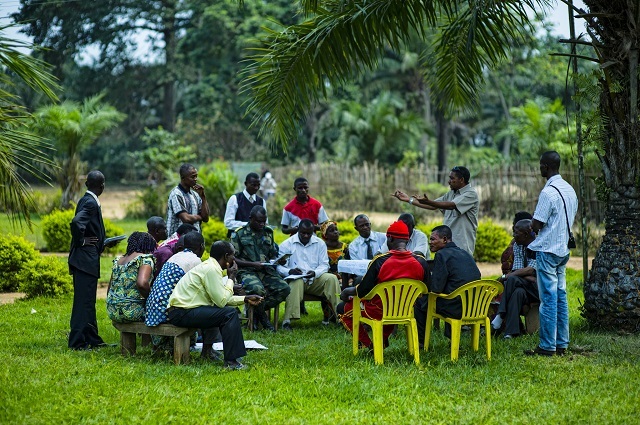 engaging in dialogue with all stakeholders to inform policies and practices that affect forests and people. CIFOR is a CGIAR Research Center, and leads the CGIAR Research Program on Forests, Trees and Agroforestry (FTA). Our headquarters are in Bogor, Indonesia, with offices in Nairobi, Kenya, Yaounde, Cameroon, Lima, Peru, and Bonn, Germany. security and environmental sustainability. Headquartered in Nairobi, Kenya, ICRAF operates six regional programmes in Sub-Saharan Africa, Asia and Latin America and conducts research in more than 30 other countries around the developing world.